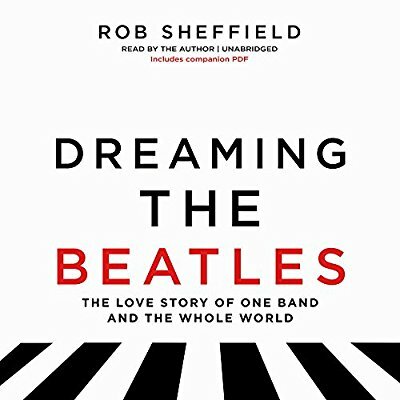 Dreaming the Beatles finds Rolling Stone writer Rob Sheffield delving into the cultural impact and musical terrain of the Fab Four. His timing is perfect as his book arrives just in time to celebrate the 50th anniversary of the release of Sgt. Pepper’s Lonely Hearts Club Band. The world they helped create is forever wrapped nostalgia and academic scrutiny as fans, writers, critics and bloggers scramble to comprehend and reexamine the band’s legacy and ongoing popularity. In fact, Sheffield embraces all of this noise by sifting through the detritus of distorted facts, myths and legends sparked from the obsessive worldwide phenomena surrounding them. This may seem like a daunting and thankless task, but Sheffield (who previously authored Love is A Mixtape and Talking To Girls About Duran Duran) eschews the cumbersome by chronicling the band’s worldwide ascent to cultural longevity and boils it down into 35 crisp essays covering various albums, moments, and singles that define who The Beatles were and why they still matter. As a starter Sheffield cleverly uses the moment in 1957 when John met Paul as a template for explaining the complex relationship between Lennon and McCartney. As he cites, their distinctively different personalities and domestic backgrounds oftentimes exacerbated their quarrels. This yin and yang relationship, although volatile at times, was deeply rooted in a genuine affection between the two, something which Sheffield goes back to repeatedly as a context for their measuring their creative output. Sheffield also digs into how their music was created musically and philosophically, recognizing that The Beatles never shied away from trying ‘difficult things’ that challenged them as artists. For him The Beatles changed the rules of pop music composition while also taking frequent walks off the plank with their adventurous album production. All of this makes for a fascinating study of how the band absorbed their influences, chewed them up and then siphoned them into their music. He also adeptly grapples with the multifaceted George Harrison and his influence on the band. Exotic, profound and mystical, Harrison’s contributions have often been unnoticed, which is tragic because his genius helped The Beatles create some of the most intriguing sounds. Labeled as ‘the quiet’ Beatle, we discover Harrison lead a rather lonely existence within the band, which may be partially responsible for the melancholic songs he wrote and sang. Then there is Ringo. So often dismissed for his adept drumming, he is restored to his proper place in the band and freed from his of comedic confines as the ‘silly’ one. Despite his larger than life presence, Starr could handle the sticks and carry a catchy melody while simultaneously providing a musical anchor with his rhythms and beats which were often offset with his quirky humor. As readers learn, he must have done something right because he married a Bond girl; worked as an actor and director in film; and designed his own furniture line. Detailing the making of each of their records and how they harnessed a cornucopia of influences into an evolving and progressive sound, Dreaming The Beatles is loaded with interesting bits and pieces about this process. For example, there’s the brilliance of Sgt. Pepper’s Lonely Hearts Club Band, the critical lovefest for The White Album and the nagging tension surrounding Let it Be and the mess Capitol Records made of the American release of Revolver. There also are lots of insightful moments, like the intriguing story of how Paul played drums on Dear Prudence, because Ringo quit. His walkout lasted only two weeks, but it was enough to rattle the remaining three Beatles and plant the collective seed within each of them that nothing lasts forever. The book also is a time capsule for the author’s own experiences with the music of The Beatles and how it stays with him today. This idea serves as a crux for examining their growing up in working class Liverpool, their early singles and time in India before settling snugly into an exploration of their respective solo careers and post Beatle lives. Of course any music biography on the band must at least tip its toes in the ocean that is the contentious argument over whether the Beatles or The Rolling Stones were better. Here Sheffield surmises, is the critical point in developing a certain worldview. In essence your personal preference in this debate helps determine what kind of person you turn into. The aftermath of this silly discourse is that the two bands are forever entangled in a sparring match that will never end. 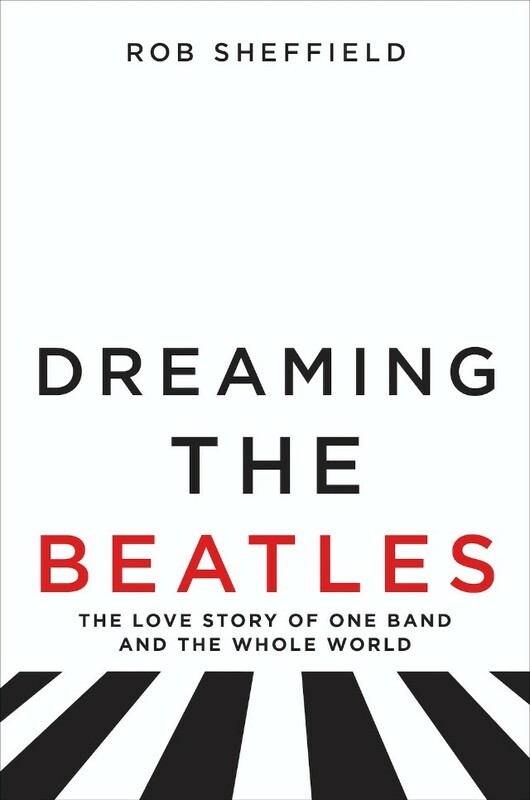 Charming, informative and affectionate Dreaming The Beatles enthusiastically explores how and why the Liverpool lads conquered the world and why they remain so endearing to the music critic illuminati who use them as a marking pin for comparisons as they endlessly extoll praise upon them. Standing alongside them are generations of fans around the world whose adoration, curiosity and devotion has never wavered. I get it, there are literally hundreds of biographies, tributes and tomes about The Beatles and you are wondering why this one is so special. Well for starters its format enables the reader to really understand the inner working of the band in the context of their times, revealing glimpses of a world forged from the ingenuity of The Beatles, whose cultural fingerprints are smeared throughout our modern society. Dreaming The Beatles is a cracking good read recommended for anyone interested in comprehending their why the band continues to reverberate in our psyche today.